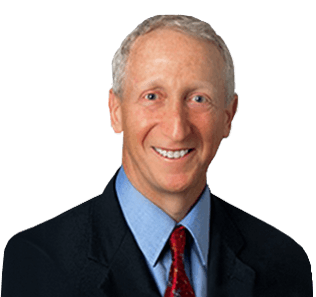 Dr. Thal has been practicing orthopaedics since 1990 and is Board Certified by the American Academy of Orthopaedic Surgeons. Pain and stiffness can worsen over time until your shoulder feels frozen in one position. Here is how to get things moving again. Rotator cuff muscles may be small, but they're majorly important. The American Heart Association says that running is good for your heart. But for every 100 hours of running, the average runner will sustain at least one injury. But, there are things you can do after a run to cut the risk of a future injury. Young pitchers who exceed pitch count limits are more prone to elbow injuries. Season statistics of players were compared relative to pitch count limits. The part of the body we call the shoulder consists of several joints that work with tendons and muscles to allow the arm to move in many directions. We can bowl a perfect game or reach the top shelf thanks to this system of joints, muscles and tendons. However, it is possible to overextend the shoulder and end up with pain. When your shoulder is painful, everyday life activities become difficult. Lower leg pain and injuries have long been a problem for runners, but research at Oregon State University-Cascades has shown maximal running shoes may increase such risks for some runners. Men have many reasons to add high-impact and resistance training to their exercise regimens; these reasons include building muscle and shedding fat. Now a researcher has determined another significant benefit to these activities: building bone mass. The study found that individuals who continuously participated in high-impact activities, such as jogging and tennis, during adolescence and young adulthood, had greater hip and lumbar spine bone mineral density than those who did not. Patients who received a newer prosthesis similar to the Miller-Galante knee design showed significantly better Knee Society function scores than patients who had a long-used prosthesis to which it was compared. However, the two implants performed about the same at short-term follow-up, according to a presenter. Locked posterior shoulder dislocation is an uncommon condition and is associated with a reverse Hill-Sachs lesion in 50% of cases. The condition is likely to occur in cases of violent trauma, seizures, or electric shock. Unrecognized dislocation with humeral head fracture affects joint function and humeral head vascularity and may lead to chronic instability, osteonecrosis, and osteoarthritis. Shoulder complaints are common in the overhead athlete. Understanding the biomechanics of throwing and swimming requires understanding the importance of maintaining the glenohumeral relationship of the shoulder.